Make certain the laundry will fit into your schedule. With TimeManager®, you can adjust the cycle and your laundry will be ready exactly when you say so. 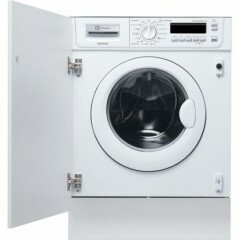 Fully integrated washing machine, with 7kg wash load. A+++AB energy rating and 1400rpm spin.